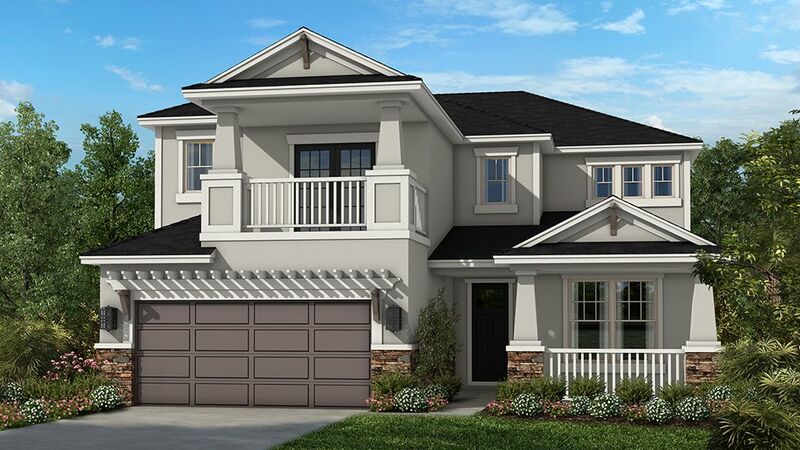 Don't miss out on your dream home at Cypress Chase Final opportunities remain at Cypress Chase – Taylor Morrison’s single-family home community near highly sought-after Citrus Park! Nestled on approximately 34 acres in Northwest Hillsborough County, this gated neighborhood offers just 69 home sites in a lovely setting with serene ponds, large oak trees, forested wetlands and lush landscaping. A few homesites remain to build new, or view the final homes for sale that are ready now in Cypress Chase.Superb Citrus Park Location Cypress Chase is ideally located in one of the most desirable living areas in the Tampa Bay market. The community is served by highly-rated schools and offers easy access to the region’s major transportation and metro area, including two miles to the Veterans Expressway and 10 miles to the Westshore business district. The surrounding area is home to an abundance of shopping and recreational opportunities, such as the popular Citrus Park Town Center less than one mile away. The Ed Radice Sports Complex is also close by, with its multitude of youth and team sports facilities. As an added bonus, the community is adjacent to the Upper Tampa Bay Trail, offering more than seven miles of paved trails connecting to nature preserves and several county parks.Stunning New Tampa, FL Real Estate Taylor Morrison is offering a selection of well-designed floor plans in Cypress Chase, featuring one and two-story homes with three to five bedrooms, great room layouts and flexible space options with dens, lofts, game rooms and more. As with all Taylor Morrison homes, these reflect the company’s high standards of construction excellence and luxurious open concept designs.Take A Virtual Tour Watch a video tour the Bonaire and St. Thomas plans offered at Cypress Chase.